Available NOW for Davinci Resolve 15 at posttools.tachyon-consulting.com !! Last edited by Glenn Venghaus on Sun Nov 18, 2018 12:17 pm, edited 9 times in total. any lurve for windoze yet? Yep sorry man. I develop on the stuff i use myself as i dont in principle target others. Its not my core business. But when its done and usefull i can (as now) start spreading the love for a small fee. Thats how the big one (APC40) started. And because hate the mouse as an input mechanisme. Windows...Nahhhh. Me no liky Windoowz. Sorry man. But 10 years back i was deep into windows so never say never hahaha. Est delivery times 1-2 weeks pending order queue and requested resolution. And to celebrate the birth of both DR15 and my new child ‘Beatstep’ i am offering an earlybird discount for one week of 20% off for the bold and the brave who dive in head first. Hey Glenn, are you on any illegal substance ? Finally made some time for an instruction video. Intended as full user manual but also to give you an idea how the user interface is designed to work. As summer is currently hitting the Netherlands and everyone is in a good mood as a result, i think its time for another discount on my controllers. So get them while they are hot , like Davinci Resolve 15 , which is sizzling !!! Last edited by Glenn Venghaus on Fri Jul 06, 2018 6:55 am, edited 1 time in total. Just to mention an exciting new feature besides the dozens introduces since release (and not in the videos). There is now a HUD (Head Up Display) that besides the LED based visual feedback system, further helps new users find their way around the controls in the different Resolve pages. Can be invoked from every page by pressing a key combination. Available NOW for Davinci Resolve 15 !! 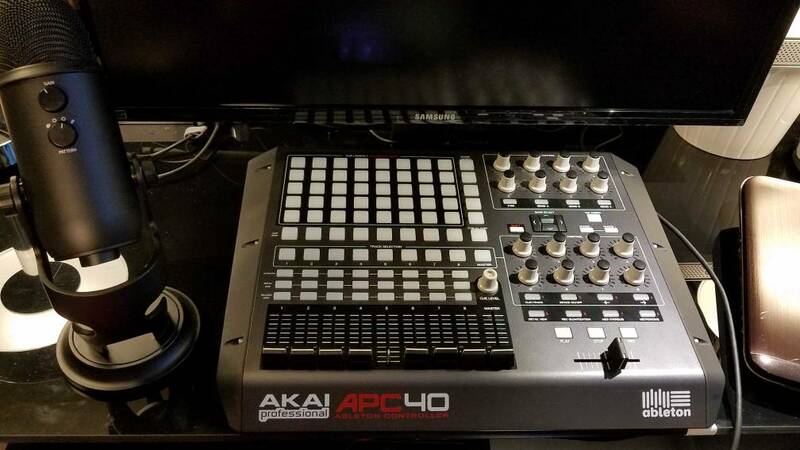 I just purchased used, an original AKAI APC40 MIDI Controller but the Beatstep Resolve Edition looks more fun due to its design simplicity. Would you please send me all the info I need to buy the APC40 Resolve Edition kit so I can get started almost right away after configuring my new PC with Resolve 15 Beta? PM me or Email me ASAP please, as I'm in the USA but do not know where to order and how to pay. IMHO you really ought to appropriately advise or provide a pertinent link here and in other such announcements -- for product ordering, most especially for your new forum readers and potential fans of yours, as your offerings clearly provide a class-leading, compact, and shockingly unparalleled efficient workflow solution for Blackmagic Design DaVinci Resolve. Where do I order and pay!? I will send you ,BUT it is in every post i ever made on the forum namely in my signature.
! It is Mac OSX only for both controllers ! Tnx for the compliments btw. And dont worry. The APC40 is not for nothing called the big brother of the Beatstep. It more difficult to get a hold off and needs more space but more buttons and so (according to an ancient chinese proverb) the more buttons the more fun hahahah. And if you look at my custom paintjob (see my site) very good to customise and make it your personal baby. At some point i will probably do a skinjob on my beatstep as well to match my apc40 look. Last edited by Glenn Venghaus on Fri Jul 13, 2018 4:51 pm, edited 1 time in total. Tnx for the compliments btw. And dont worry. The APC40 is not for nothing called the big brother of the Beatstep. It more difficult to get a hold off and needs more space but more buttons and so (according to an ancient chinese proverb) the more buttons the more fun hahahah. And if you look at my custom paintjob (see my site) very good to customise and make it your personal baby..
Compliments I sent your way are very much earned, because you rock, "G". Prices stated are only in Euros? That's not helpful to those in USA unfamiliar with making such international purchases. Americans with Master/Visa Cards need an easier way to assess U.S. costs on your products, and confidently place an order. 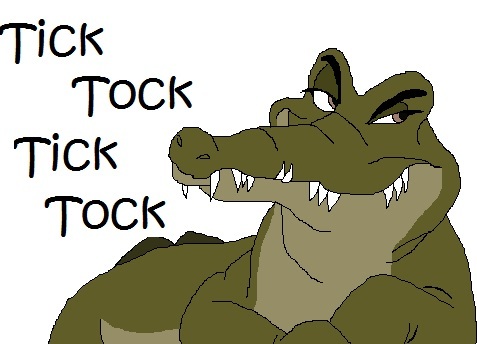 Please provide specific instructions for U.S.A purchasers? Sorry mate. Feel free to P.M. me if you have problems with the shop, so we can keep this thread for updates etc. Any further issues/question, feel free to pm me. And also enabled course/fine control for these similar to what was already implemented for all other main pages in an earlier release. Obviously at some point , when i have again some time, will cross implement onto APC40 , similar to nice HUD feature for all pages (incl the 20 mapped OFX plugins). 'Anybody -- that networked hybrid PC plus 2010 MacPro workstation pair should represent a workable arrangement, yes? Hey, even MS have to make a living but why not install a Paypal Credit Card solution? In my experience selling US$7-10K/month of product to North Americans from Downunder, they'll use Paypal. Sure, you'll suffer slight commission hit but as the seller doesn't collect the card numbers, it's a relatively safe bet for customers. 1 i never wrote what you quoted but i am ok with that hahaha. 2. I have since day 1 multiple payment providers and methods hooked to the shop including the paypall option with or without paypall account incl credit card payments. Paypall is indeed my most used payment form for non EU customers. Have also option for all kind of EU sepcific payments so there are zero issues there . Only thing i just added after above gentlemens remark is a multi currency plugin so you can at least see the equivalent value in your currency. I actualy know of one customer i have that does something similar but with linux. So grading on mac and the apc40 as controller and edit etc on linux. But it all depends on personal favorites , workflow and hardware setup . Ps any solution you think of test it carefully for performance etc before you buy the controlller kit. As storage over gigabit will be very limiting to HD work only . Anything heavier you need 10g solutions etc. When i use resolve on multiple machines they all acces the shared storage over 10g. Good on you Glenn. Keep up the good work and more than one of us I'm sure, anticipate the Windows 64bit version! Craig Marshall wrote: Good on you Glenn. Keep up the good work and more than one of us I'm sure, anticipate the Windows 64bit version! And FWIW (fior whatever it's worth) Glenn, I could wish to implore you to find a way to implement the compatibility of your wares with 64-bit Ubuntu Linux -- even moreso than a port to 64-bit Micro$haft WindBlows. 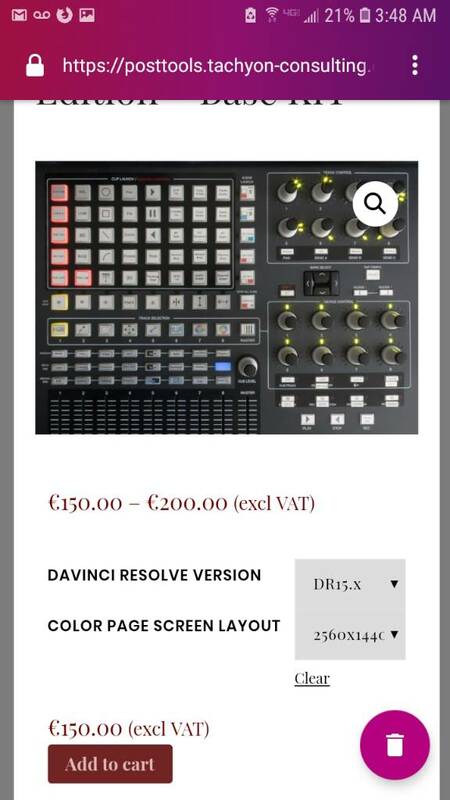 Oh my: Does the DaVinci Resolve Configuration Guide offer *any* guidance on recommended (and particularly even more cost-effective 10 Gigabit Network Storage solutions for the guy we without $4000 to spend on peripherals? It all depends on your needs , where you want to take this and where your main media storage lives and the type (direct attached or network) and speed. A simple workable solution without extra investments could be that , in the scenario where you have a 1gb attached storage for you media, you use cache / gen optimized media on a local on the mac attached ssd storage to grade from at high speed. On the edit machine you edit with proxies or with also local cache/optimized media. But i think if you have to changeover your entire landscape just to use this controller it may be wiser, more cost effective and easier to stick to your current single windows (brrrr) workstation and get an off the shelf windows compatible controller. Like a small BM controller. I would love to sell you my kit for apc or beatstep , but it has to make sense for you in the bigger picture. Peter Benson wrote: Yup! And more And FWIW (fior whatever it's worth) Glenn, I could wish to implore you to find a way to implement the compatibility of your wares with 64-bit Ubuntu Linux -- even moreso than a port to 64-bit Micro$haft WindBlows. Last edited by Glenn Venghaus on Fri Jul 13, 2018 4:52 pm, edited 1 time in total. Glenn Venghaus wrote: It all depends on your needs , where you want to take this and where your main media storage lives and the type (direct attached or network) and speed. Hmmm. Glenn, thanks for the feedback. Are you aware U'm p link affirm agnostic as relates to "WindBlows" PC and Mac? Hmmm. What kind of controller is this -- or do you mean a PCIe expander-- I cover heard of a BMD [network storage?] controller! 1. What is the model number of this beautiful beast of which you speak, Sir? for this delicious 10Gbit/sec Networked Storage recipe you're proposing? 3. And what about the source for the parts list, for the SSD Carr solution you mentioned, along with its 10Gb/s "drivers" download source? Is all of this featured in BND's configuration guide? I'll bet it's *not* but sounds awesome. Where do I get started. Glenn -- let's just do this. Your Tachion domain based Email bounced back by the way, with the "Sorry, No Domain Found" descriptor. or beatstep , but it has to make sense for you in the bigger picture. I really *get* this "Glenn" Guy. Last edited by Peter Benson on Fri Jul 13, 2018 2:52 am, edited 1 time in total. Ok., for sure. Meanwhile, Glenn, you might correct the spelling of this message thread's intended use of the word "BUDGET". Tnx for pointing it out dude. - one button toggle between prim wheels and bars for hyper fast access to most important controls. - Besides the 20 fully custom mapped Resolve OFX plugins now ANY not detected/mapped plugin (incl 3rd party etc) will obtain a default mapping of its sliders over the 16 knobs. Wow, we are finally there . DR15 just released. Did not see this coming yet. Had already ended the summer sale for this controller software kit that was designed specialy for DR15 since the 1st beta release, but to celebrate the release of this amazing application, i am offering a final extended deal for 10% off till end of august before the planned price increase. And again congrats to the amazing dev team at BM to get this monster upgrade project done. YES fully compatible with latest DR15.1.1 release and continuously kept up to date within a few days (mostly same day) of any new minor release if any changes/updates are required at all (mostly not) . Its time for some Holliday discounts again !!! Last edited by Glenn Venghaus on Sun Oct 21, 2018 1:32 pm, edited 1 time in total. fyi : As i feel in a good mood today, i just extended the 20% discount code above to the end of the month. Grab it while it is hot. As of today the kits are fully OSX Mojave 10.14.x supported. So when upgrading (for the early adopters) , rerun the (latest) basekit installer which ,when it detects Mojave, will deploy the correct base toolkit kit that has been natively compiled/build and 100% tested on Mojave. Also make sure you upgrade to the latest Controllermate which has proper Mojave support as wel. Cyberdeal upped to 40% discount on all items till cybermonday. btw beta testing a solution to add full control over the dynamic inspector tab in the edit page !!! Expected to roll out in next release soon. So jump in on the black friday deals NOW while you can at insane low price for this level of features nowhere to be found.